Our September sale on Brass Bilock single cylinder deadbolts, ends today. We managed to sell virtually all our inventory of the Bilock single cylinder deadbolts in brass, thanks to the many discerning bargain hunting shoppers. We anticipate a new special in coming months. Stay Tuned. Last year we talked about the Lockwood 005 Paradigm Deadbolt as a new entrant to the home security market. The above video shows how well this product is designed and how easy it is to install. It is also one of the few products available anywhere in the world, that provides double cylinder (key lockable inside and outside) protection while providing building and fire code compliance. Many home owners have beautiful front main entry doors, that are the first thing their guests see when visiting. Many home owners pride themselves on the appearance of their front door and the lock hardware products market is one of the busiest and most competitive industries. But until now, due to building codes and fire protection laws, primary entrance doors are not allowed to incorporate double cylinder locks. This has been a rather contentious issue across the world, because people have been unable to install adequate security products while adhering to building and fire codes. It will be interesting to see if the USA market learns from the example of Lockwood Australia and product manufacturers here modify their product range to include these new superior design and function deadbolts. I have been a member of the Service Magic contractor network for a little over 2 years now and am reasonably happy with the quantity of work they send me. The benefits that Service Magic provide are multiple. They screen the customers and the contractors. They utilize premium online advertising opportunities. 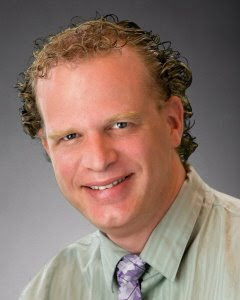 They provide company profiles and especially testimonials. I am lucky to have about 60 testimonials on the site with an average rating of 4.8 (out of 5). The testimonials are all genuine, because only the client can fill in the testimonial form. When I first joined the Service Magic network, there were at least 6 locksmith companies in my region, also listed there. Within 12 months, virtually all had dropped out, but I maintained my membership because it has proven to be a rewarding program that has benefitted my startup immensely. To aspiring contractor professionals, seeking additional sources of qualified leads, look no further than the industry leader, Service Magic. • Appearing on The Today Show, The Tonight Show, and across CNBC, MSNBC, Bravo, SciFi, Oxygen and USA. 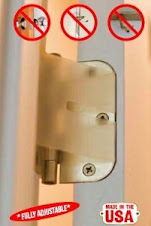 Easily replaces almost all existing pocket or sliding cavity door locks. Thanks to Garry Aumann of Keyman Services, Gold Coast, Australia. I live and work in the City of Creve Coeur, MO. 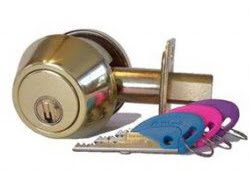 I perform locksmith and door repairs for clients in and around the towns neighboring 20 miles. I came across an interesting site that provides data on different cities, that is of interest to me and might be of interest to others too. The data on this site, at the time of this post, is for the period 2001-2006. I am primarily concerned with the statistics of crime. Specifically property crime. The rates here may be alarming to some, however they also indicate that Creve Coeur is an excellent town to live and work. 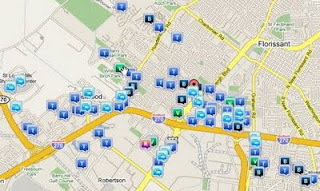 According the the site, "Creve Coeur's property crime levels tend to be lower than Missouri's average level. 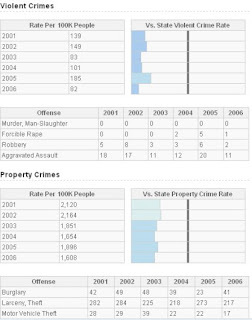 The same data shows violent crime levels in Creve Coeur tend to be much lower than Missouri's average level." As you can see in the chart, Creve Coeur experiences significantly lower statistics than the rest of Missouri. This is obviously the result of exemplary work by the Creve Coeur Police Department and a testament to above average quality of life in the Creve Coeur, MO region. According to the release, "these one-of-a-kind keyless entry electronic locks, developed for interoperability with home automation and security systems, can communicate wirelessly with other devices in the home and deliver a variety of access control options for the utmost in residential security." Hot on the heels of Ingersoll Rand's Schlage Z-Link technolgy, but using the new Smartkey Bump Proof technology, this announcement signals a major game changer in the residential security products market. 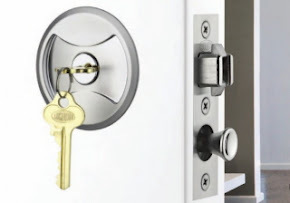 According to the press release, "the lock will allow you to check door lock status, automatically allow you to arm or disarm your security system" (if connected) "and initiate customized scenes upon entry and exit. The lock offers true remote locking and unlocking features due to it's motorized deadbolt, allowing homeowners to monitor and control their locks, using either a Web-enabled device or their home automation system." "Lock The Door From Virtually Anywhere"
Installation is simple as the new product replaces virtually any existing deadbolt application, uses AA batteries, making it completely wireless and eliminating the need for hardwiring. The lock even has the ability to receive automatic software updates and all wireless communication between devices remains secure using 128 bit encryption. The primary difference between this new product and other competing brands, is the first time useability to actually operate the motorized deadbolt remotely using a cell phone, web-enabled mobile device, web-connected computer or a security system panel. I believe this product will signal a significant shift in the dynamics of the home security market. It will become fundamentally important for physical security products and services providers to update their education and skills, to offer consumers the best possible advantages. Stay tuned for the imminent release of locations to purchase. The graphs to the left are another view of the statistics of crime reported by the Maryland Heights Police Department, in the last 30 days. I find it interesting that traffic offences make up the largest share of police operations. Perhaps it is high time for police departments to focus more on the other more violent types of crimes than on just traffic crimes. Is it any wonder that many citizens identify police departments as glorified revenue raisers rather than physical and peace protection agencies? The police departments, admittedly do a fairly reasonable job of policing the roads. Why? Because traffic citations add directly to local government and police department revenues. When governments continue to increase funding for municipal police departments, this often does not impact the other areas of police funding. It is disappointing when statistics like above, prove that police resources are directed more to revenue generating traffic offenses than to actively reducing or preventing crimes of theft, larceny, break and enter, sexual offenses, vehicle theft, robbery etc. Perhaps it may be time for local governments and police departments to re-examine their priorities? Concentrate on reducing the crime rate rather than generating multiple revenue streams. We present the Crime Statistics for the Hazelwood area reported by Hazelwood Police Department for the last month. The breakdown is listed below. You can now find out the exact statistics for your individual street (if your local police department releases that information, to this source), by typing your street name into the search bar on the sources website. While we are primarily concerned with the increasing or decreasing rates of Alarm Responses, Thefts, Robberies and Break and Enters, the above lists include attendances by Hazelwood Police Department. 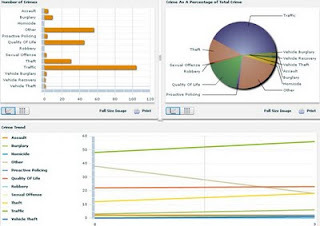 In referrence to Alarm Responses particularly, there were 97 occasions where Hazelwood Police Department attended as a result of a monitored alarm activation. This also indicates 97 invoices issued by the police for alarm responses. I wonder if alarm system installers and monitoring companies disclose that residents will receive a police invoice for services rendered, as an inclusion in their sales spiel to customers. I seriously doubt it. Below, you will see a news article about a daring raid on an Apple store, by 5 criminals who break in and ransack the store is 31 seconds. They got away with 23 Macbook Pro's, 14 IPhones and 9 IPod touches. For products that will effectively prevent this type of break in, contact us. The transponder technology industry has progresses toward the introduction of Chip Keys for homes and offices now. The industry is in it's infancy still but progress is starting to reduce the very high price for this unproven technology. Assa-Abloy, the world's largest manufacturer of security locking products, including (the recently bumped and picked) Medeco and Mul-t-lock product lines, already introduced the Cliq product line to consumers. Obviously, it helps to have an existing key, but as such, it is not necessary as without a battery, the lock relies on a mechanical component that is easily defeated, as shown above. On a $ for $ value proposition, Bilock is unbeatable in aesthetics, price and cross-hardware use. Bilock Deadbolt - SALE! SALE! SALE! We are pleased to announce our September Special. Polished Brass Finish only with 2 keys, while stocks last. All Bilock products are restricted access. You will be required to provide a specimen signature prior to goods despatched. This is to enable future key requests.